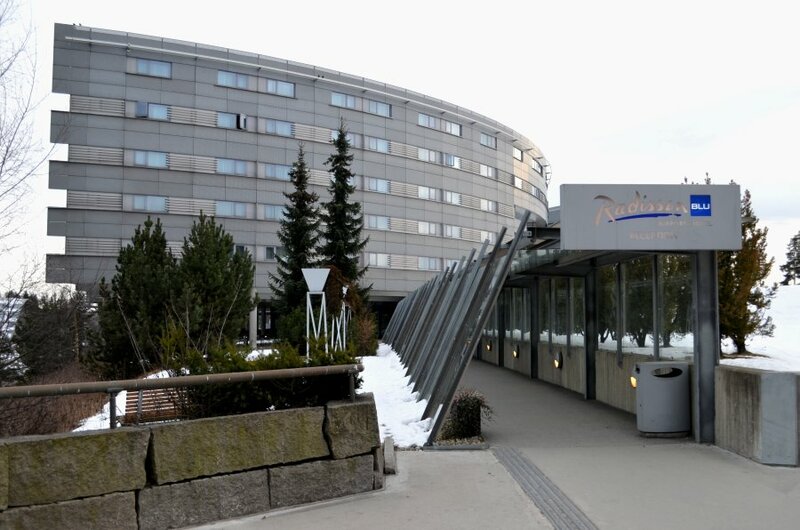 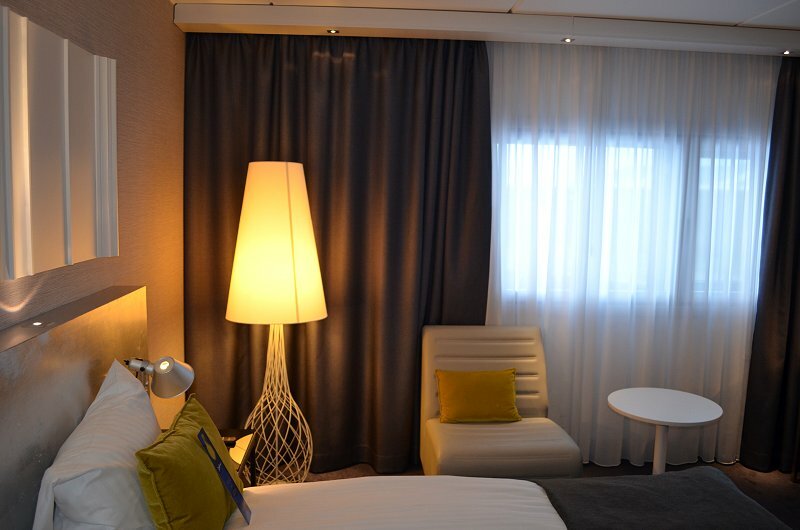 Located directly adjacent to the passenger terminal at Oslo's Gardermoen Airport, and also to the airport's railway station, this hotel was an obvious choice for my overnight connection stop in Norway. 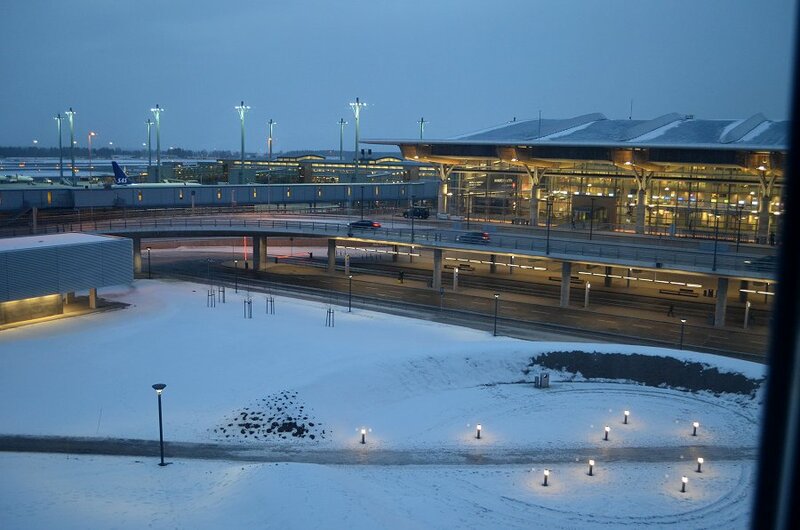 No shuttle buses were required, and I saw the very short walk in the fresh, winter air as a bonus rather than an inconvenience. 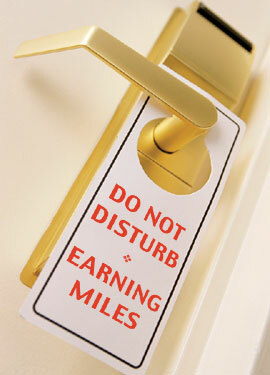 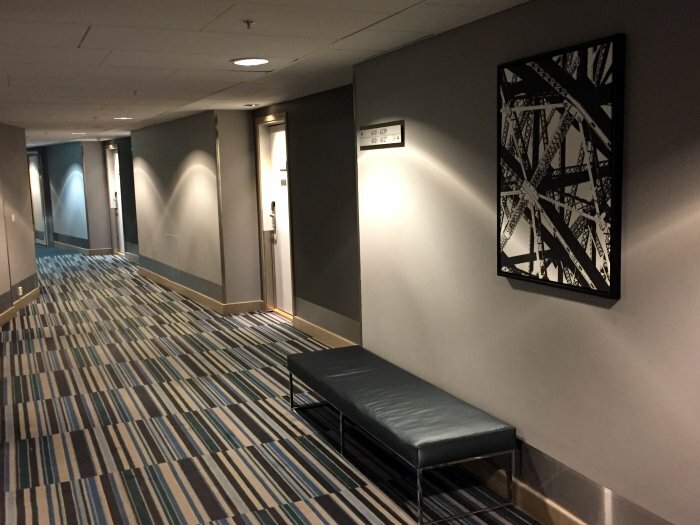 While the location normally comes at a price, I was able to mitigate this by booking on a points+cash basis. 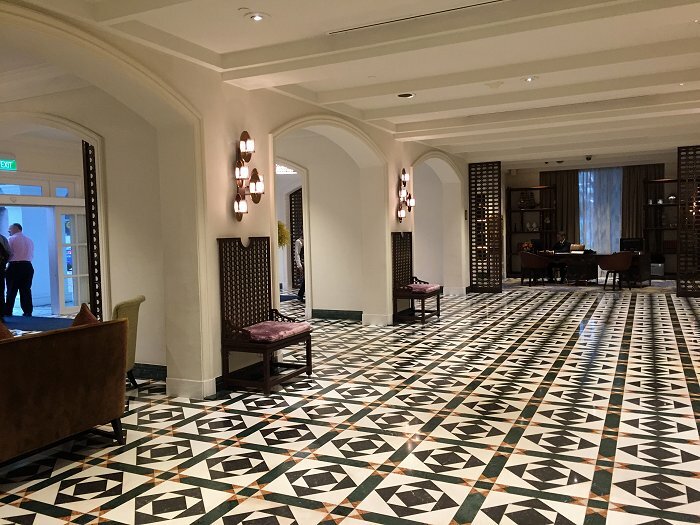 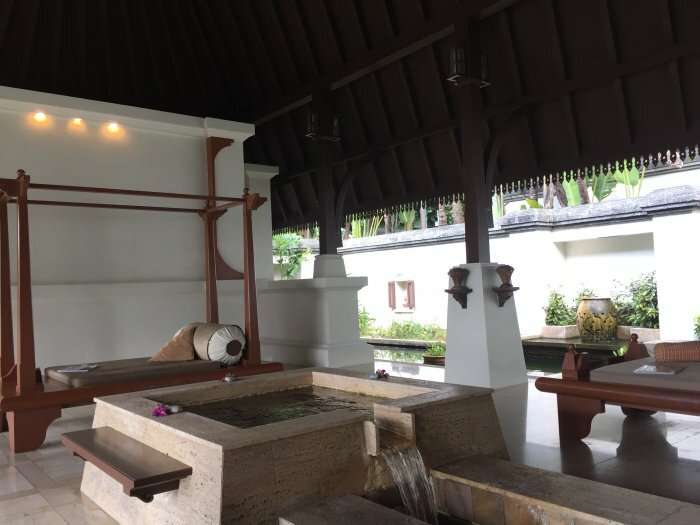 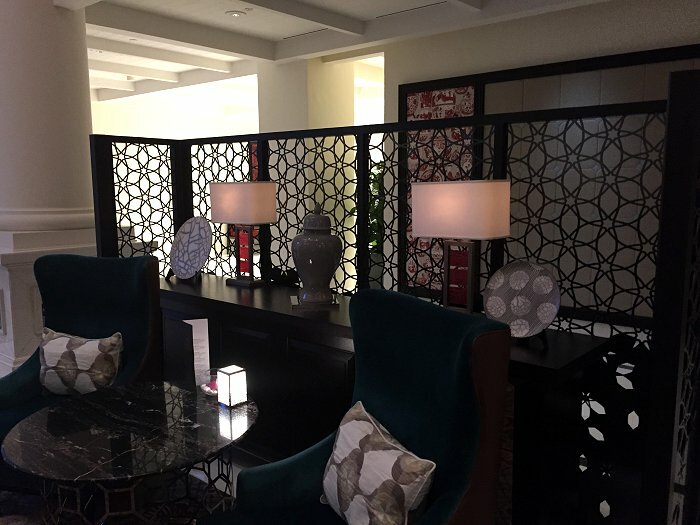 I found both my room and the public areas of the hotel to be thoroughly stylish and modern, and I felt that this had been an excellent first stop of the trip. 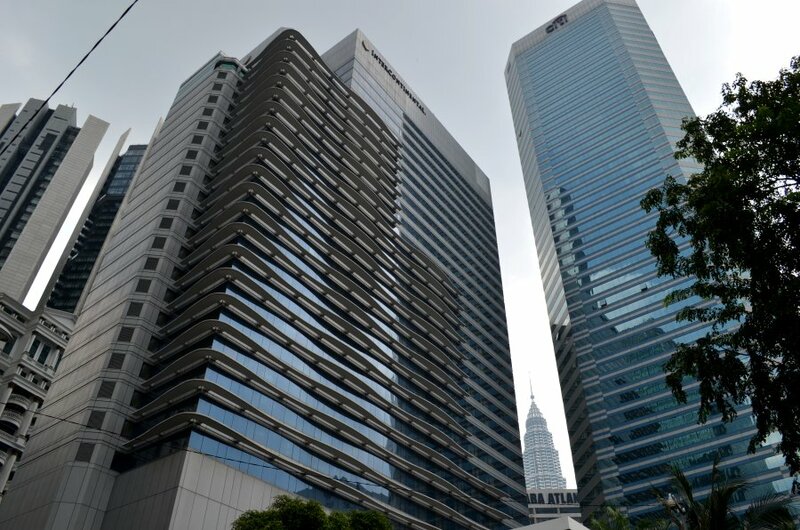 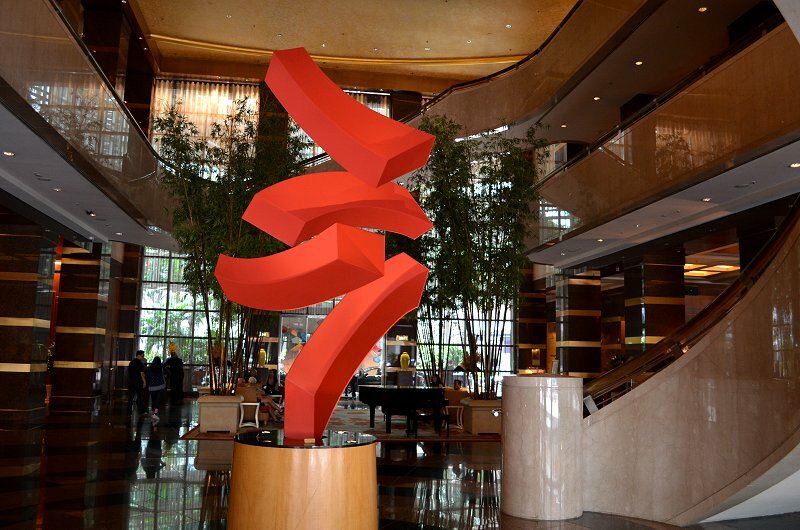 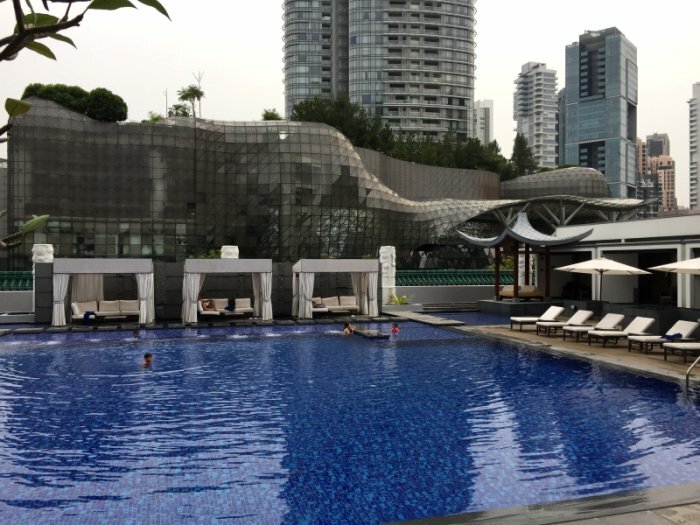 While it felt good to be revisiting this impressive property in Singapore's Suntec City development, it seemed incredible that nearly five years had passed since my first stay in June 2012. 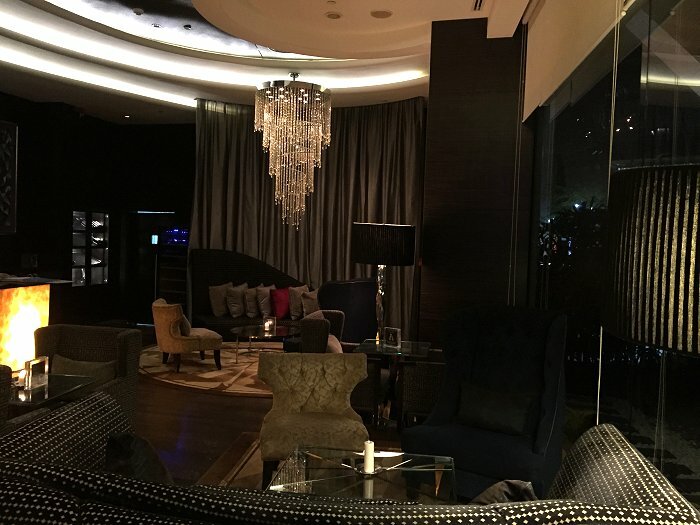 While I missed out on a suite upgrade on this occasion, I was still entitled - as a Hilton Honors Diamond member - to executive lounge access. 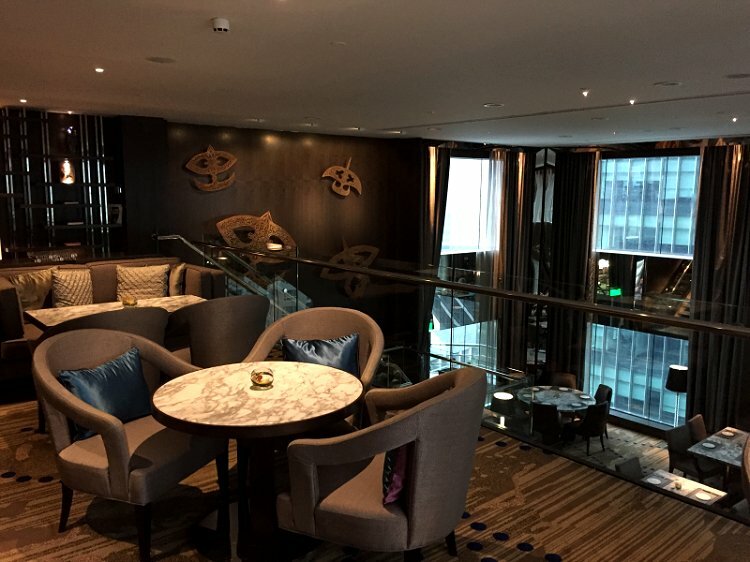 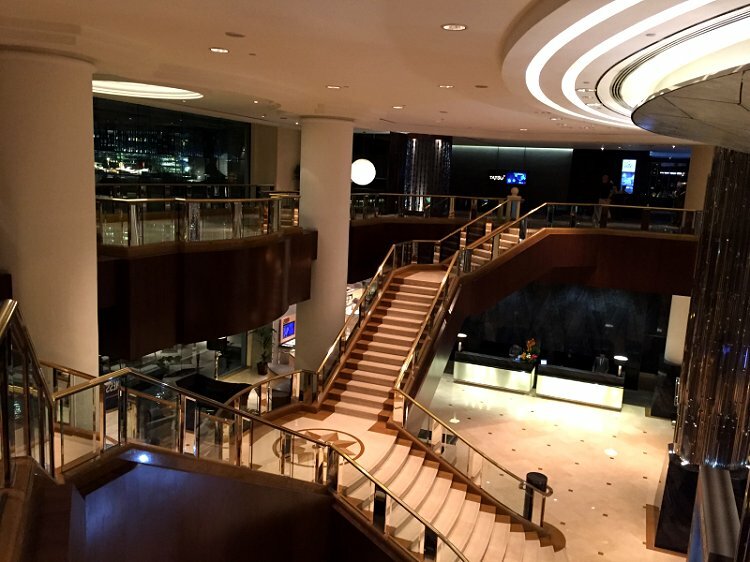 As previously reported, the lounge at the Centennial (see last three pictures) is a truly excellent example of its type, thanks to its 31st-floor location with large picture windows, friendly and attentive staff and impressive food and drink offerings. 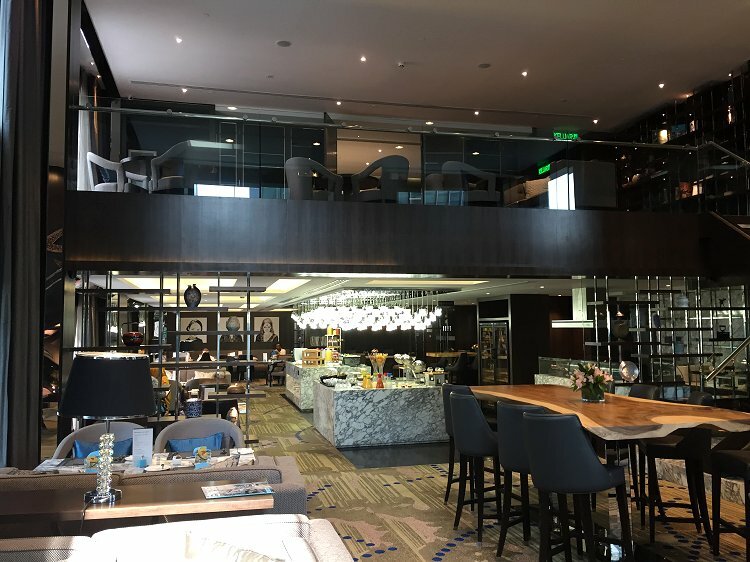 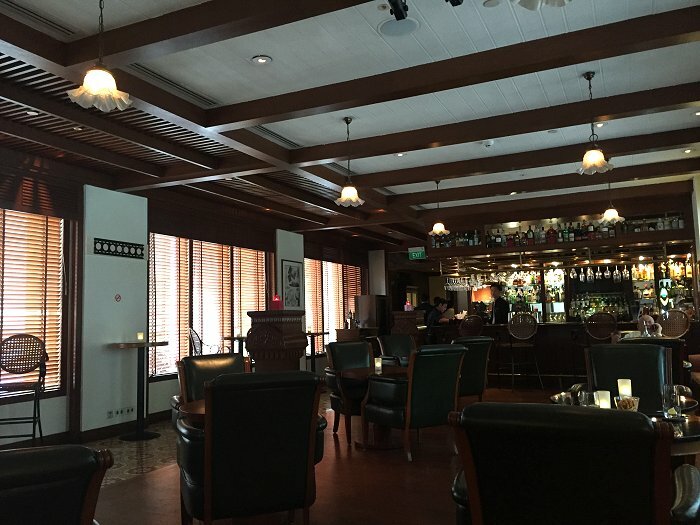 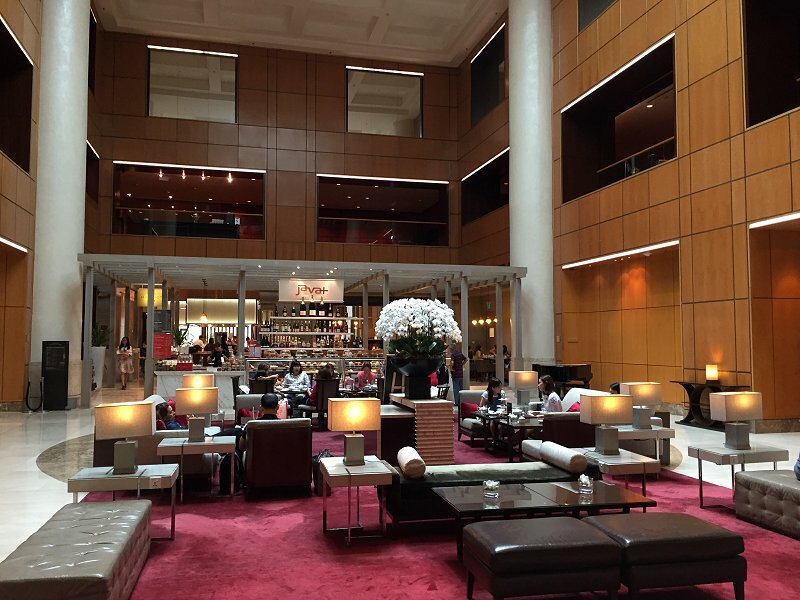 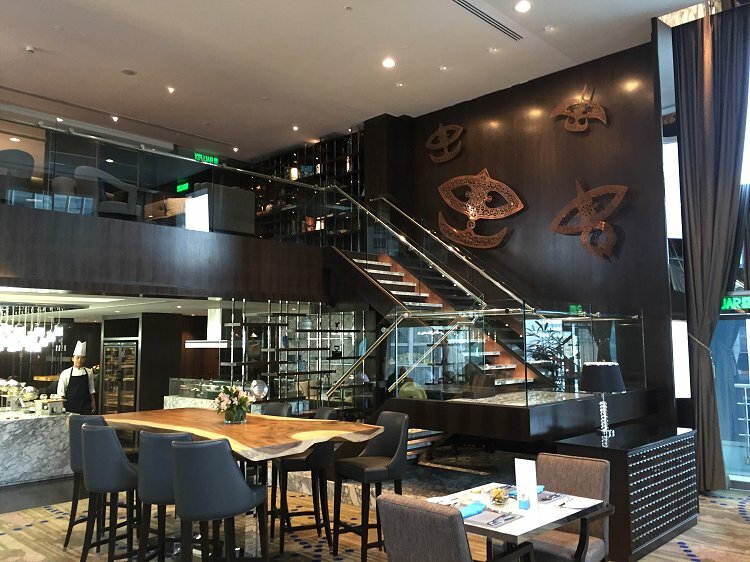 On this short stay, we were also able to sample the lobby bar, which made a good job of serving cocktails and bar snacks. 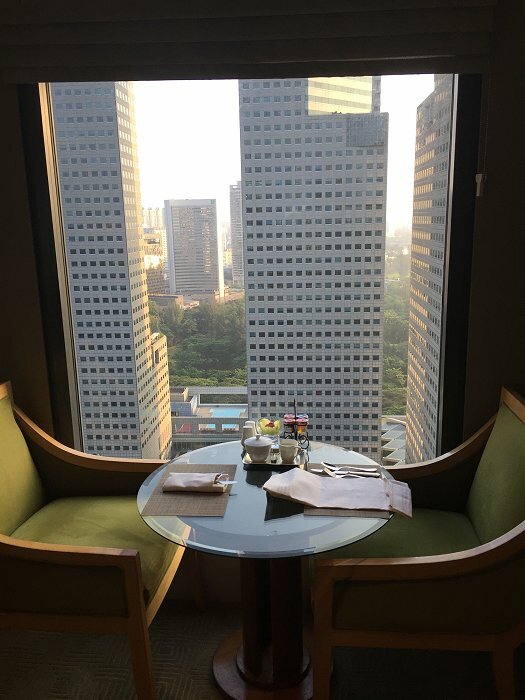 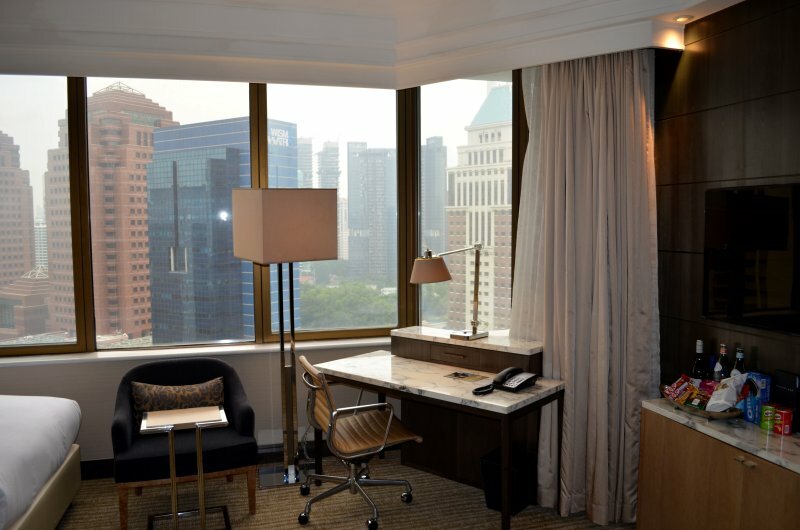 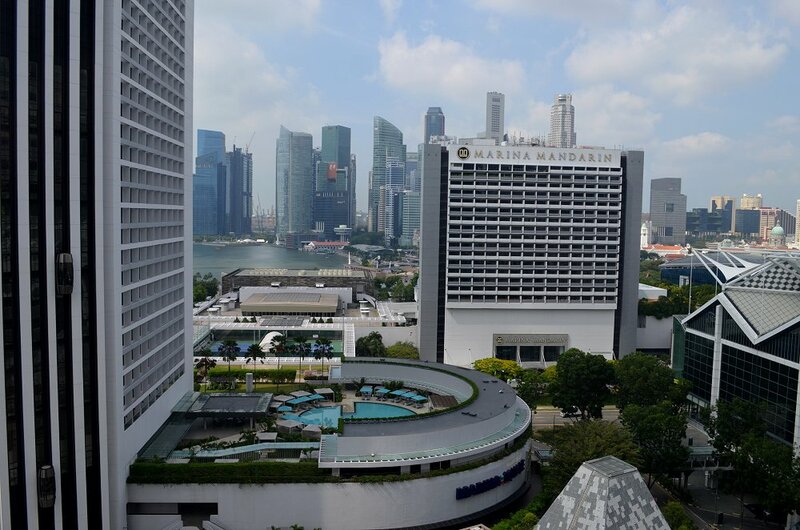 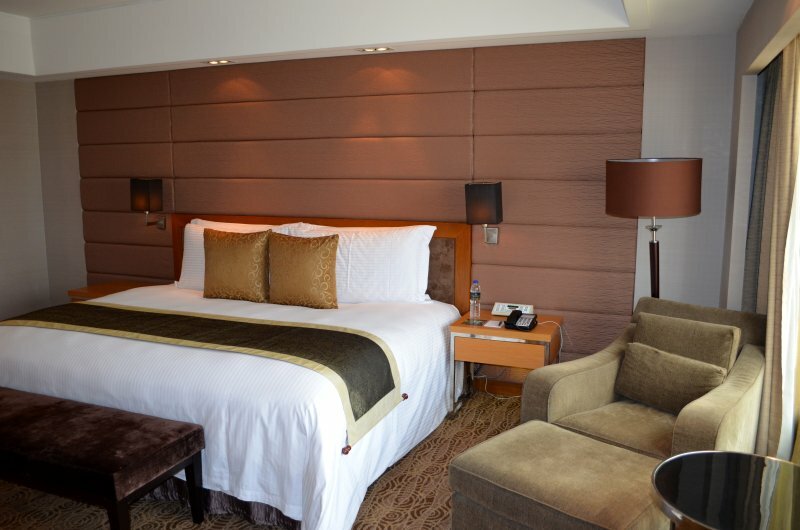 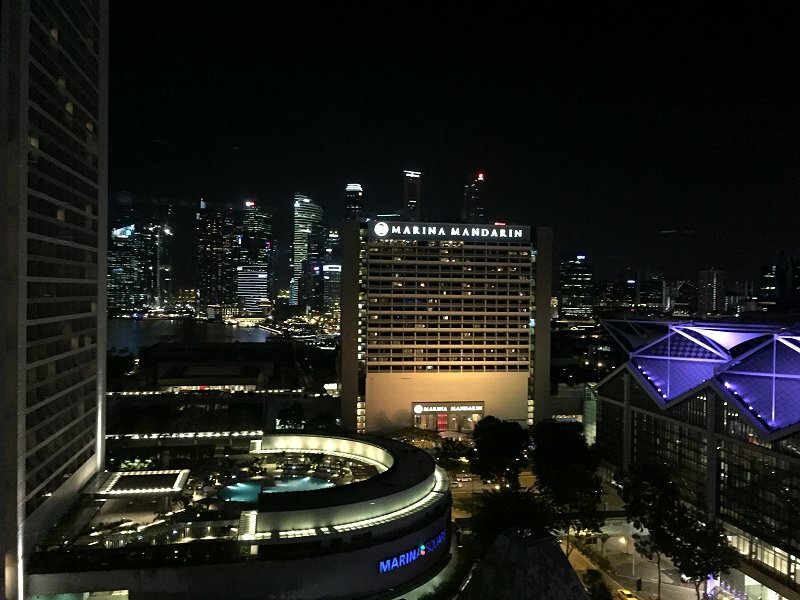 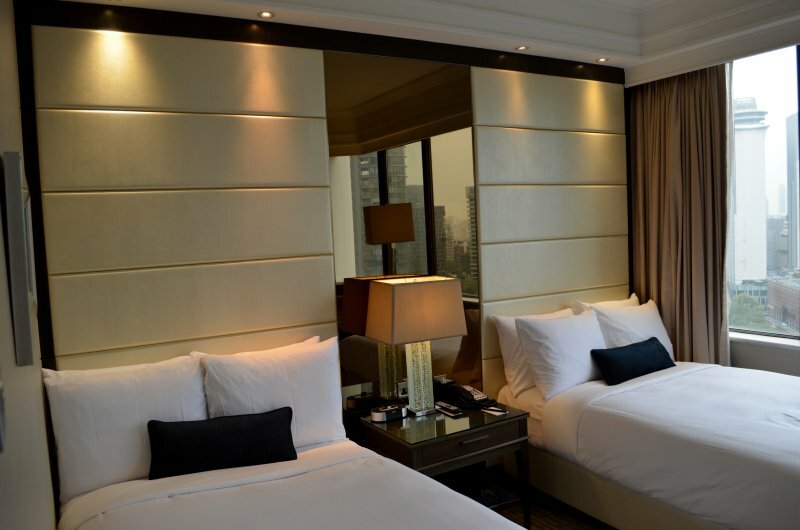 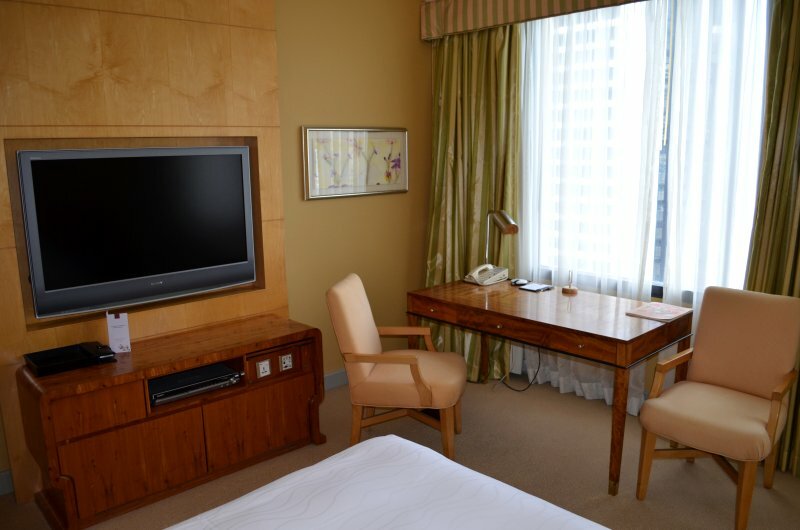 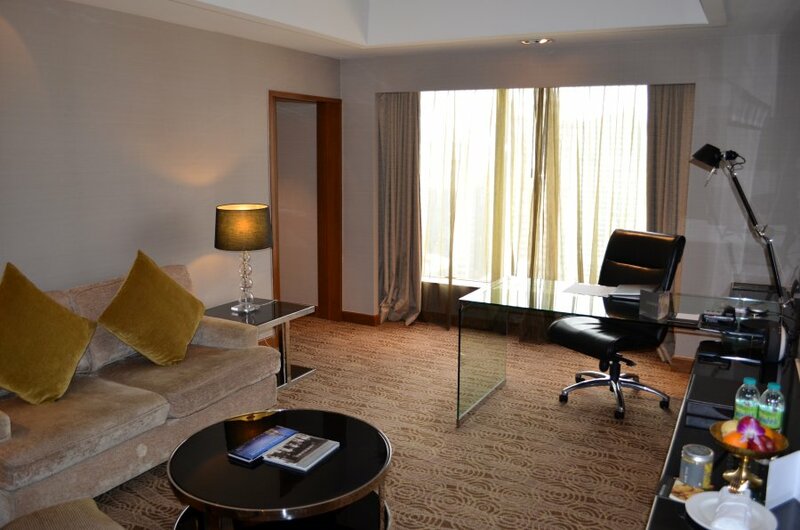 Our twin room featured an impressive view towards the Marina Mandarin and beyond to the city-state's financial district. 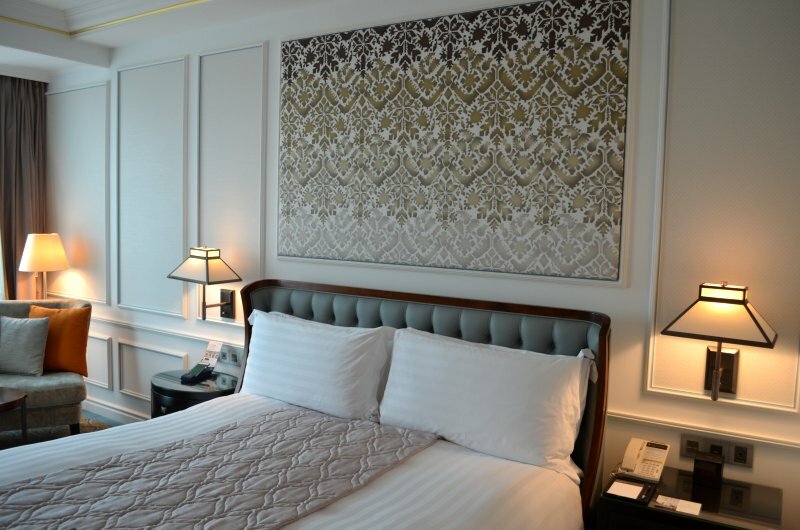 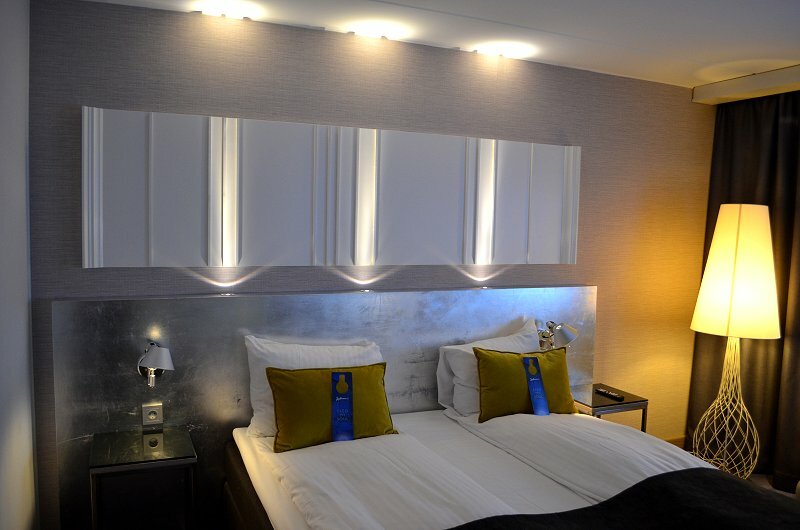 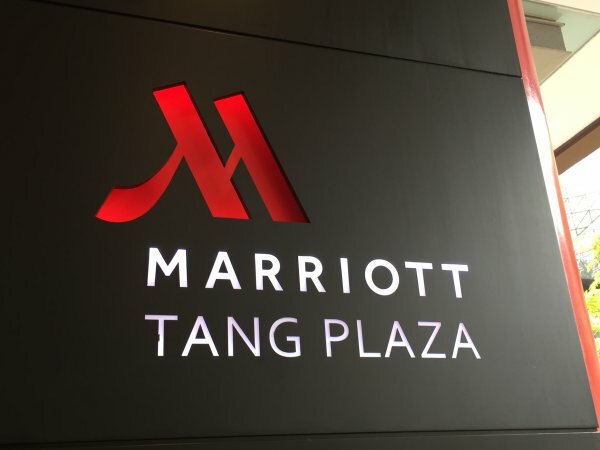 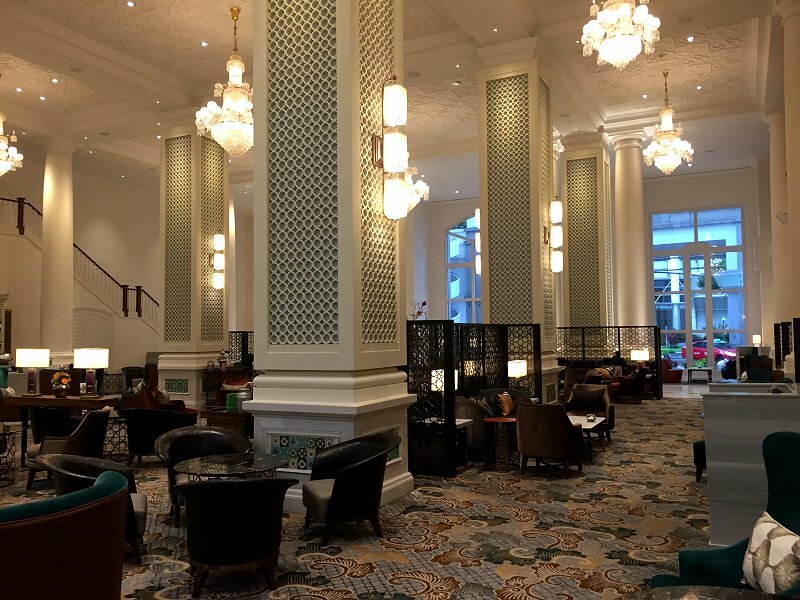 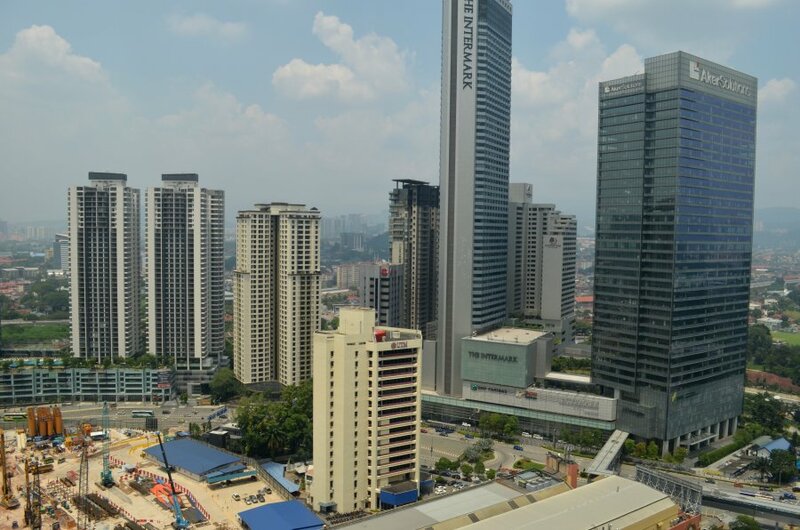 Located a ten-minute walk east of the Petronas Twin Towers and just steps from the Ampang Park metro station, this recently renovated hotel was certainly convenient for most activities. 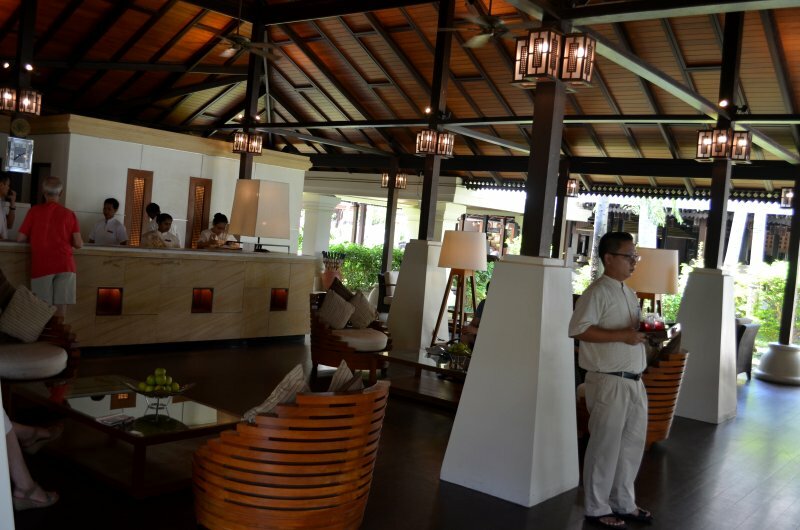 A very high standard of service was evident almost from the moment that we stepped through the front door. 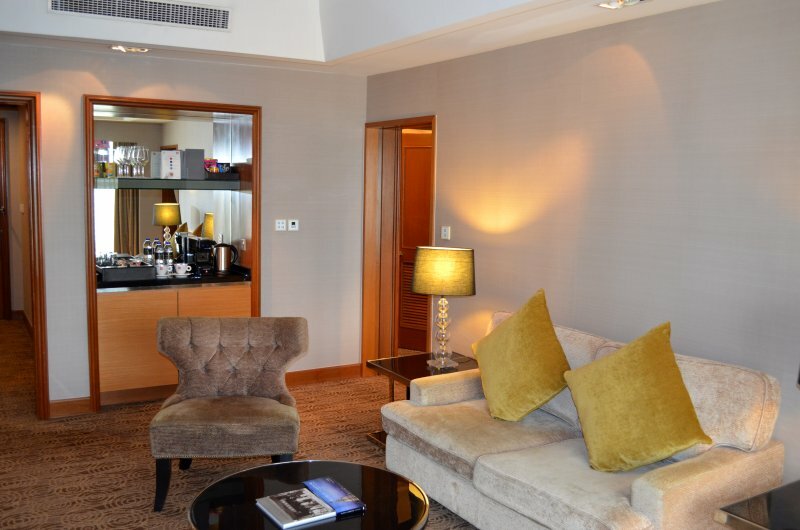 Our allocated suite was only minutes away from being ready when we arrived, but we were nevertheless given a temporary room so that we could freshen up and relax. 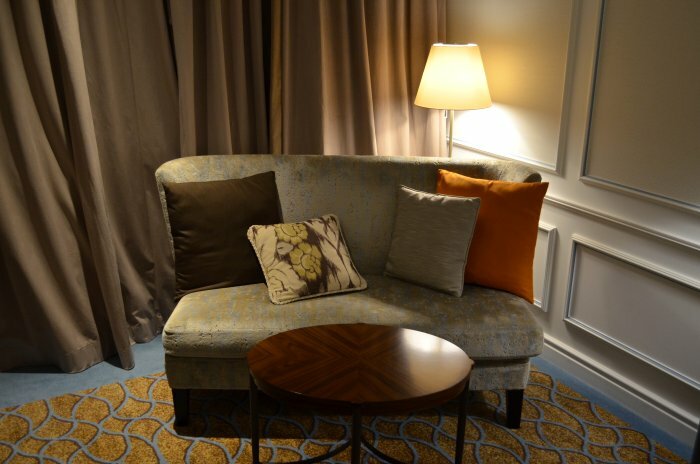 The suite itself proved to be an excellent upgrade, providing space, comfort and a top-floor, end-of-corridor location for our short stay. 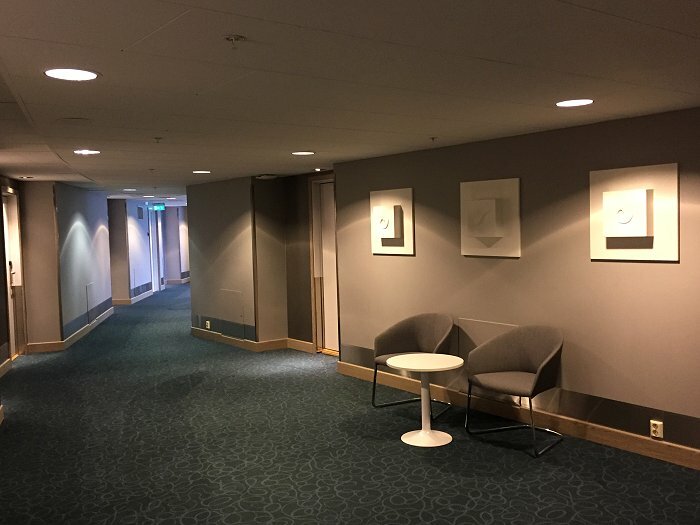 The bi-level executive lounge was an impressive facility which served us well both in the evenings and for breakfast, although service seemed to be somewhat less attentive on the upper level. 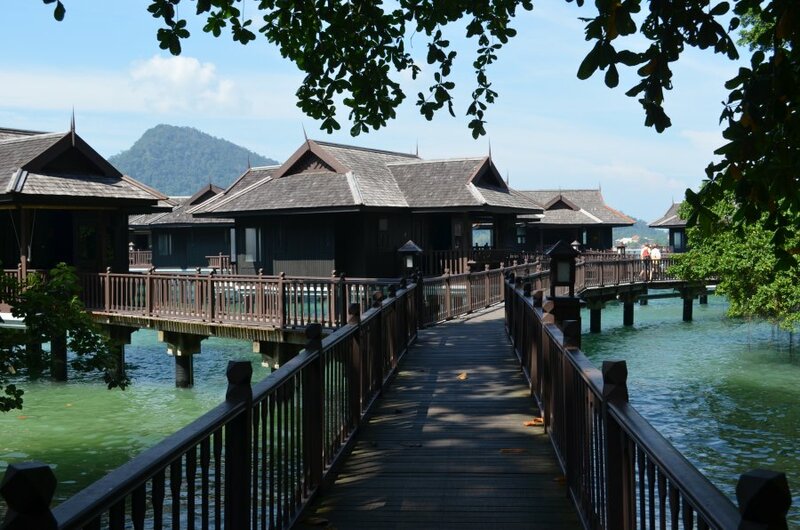 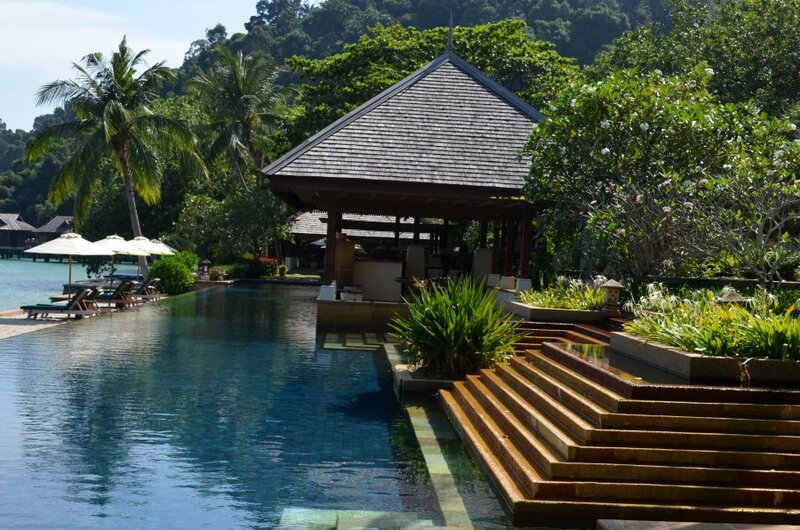 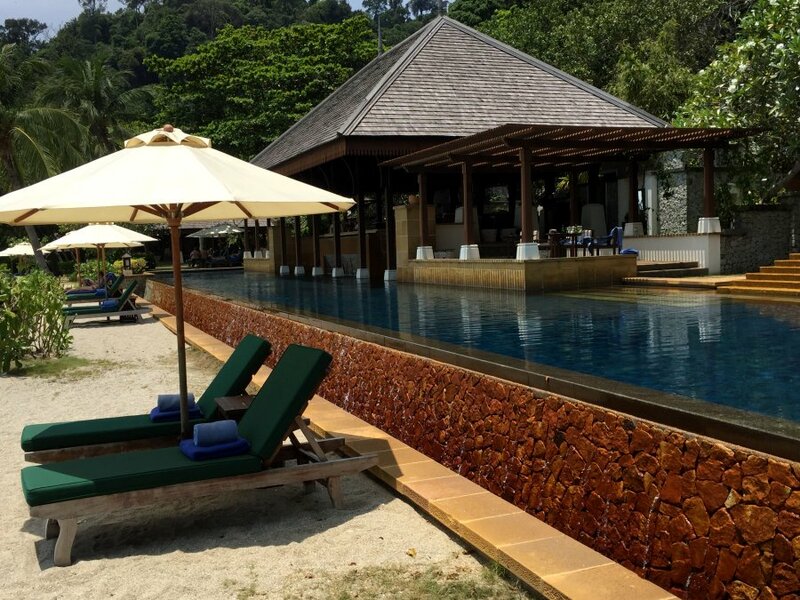 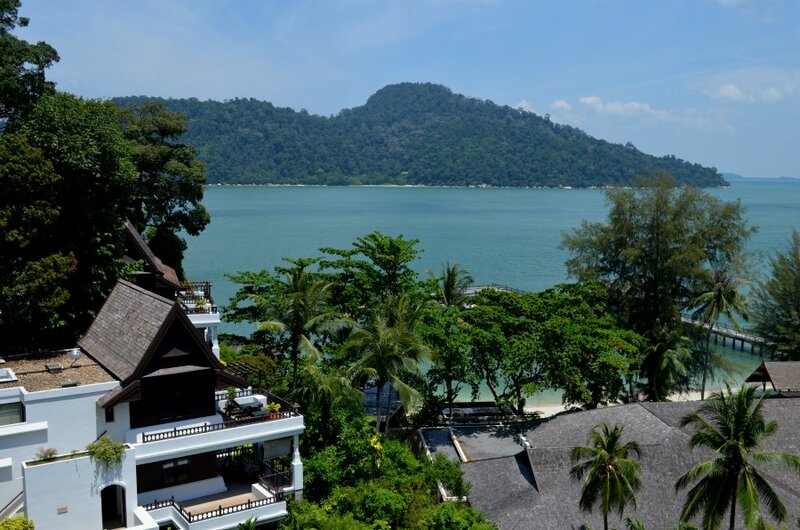 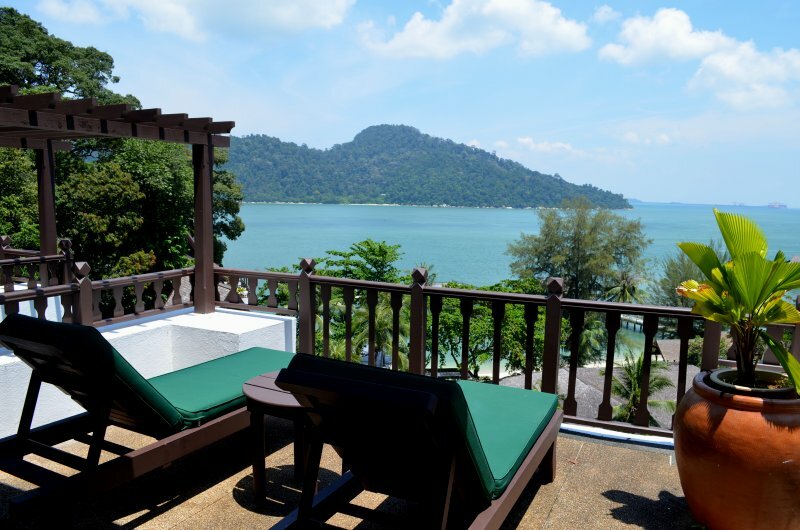 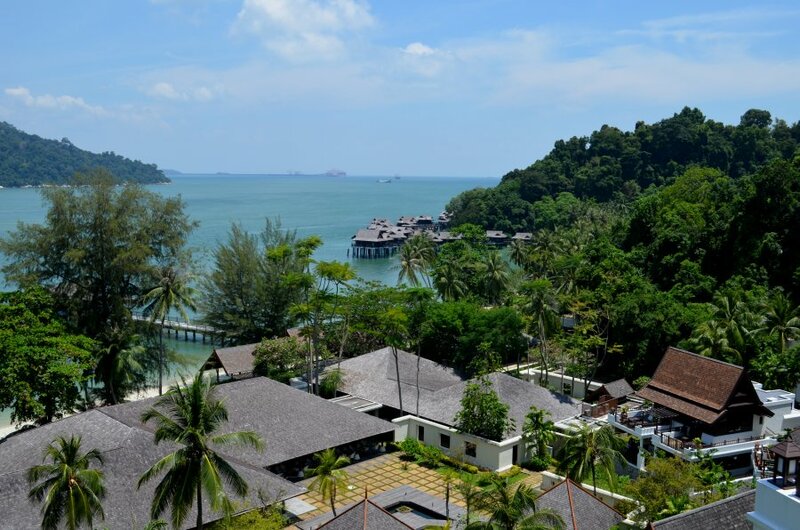 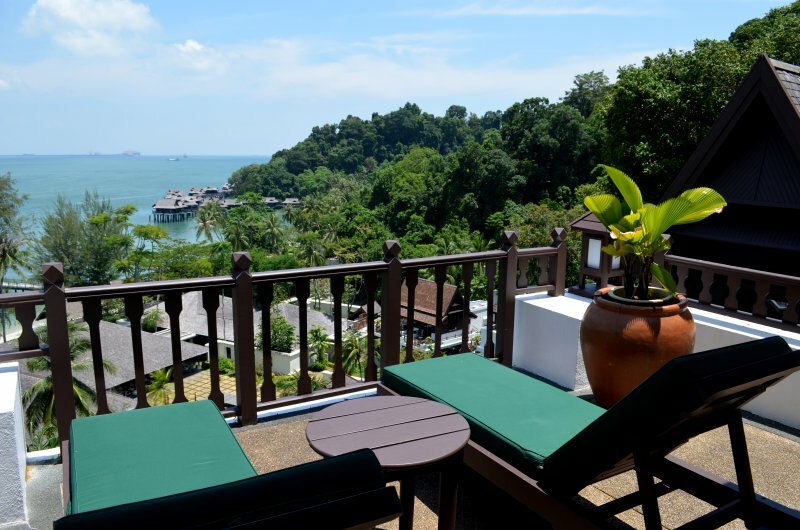 Pangkor Laut Resort is the only accommodation on the private island of Pangkor Laut, which is located off Malaysia's west coast, roughly half-way between Kuala Lumpur and Penang and adjacent to the much larger island of Pangkor. 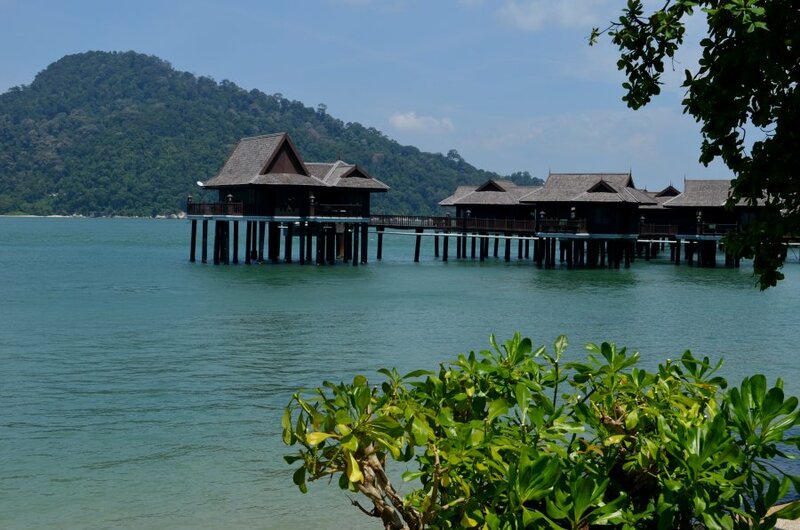 Speedboat transfers are provided from the mainland. 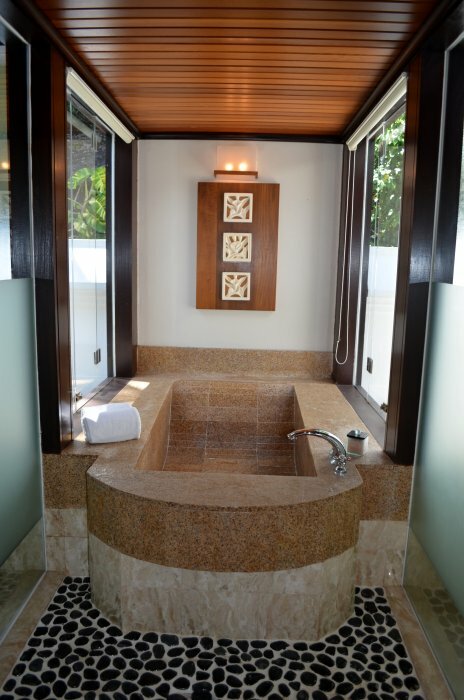 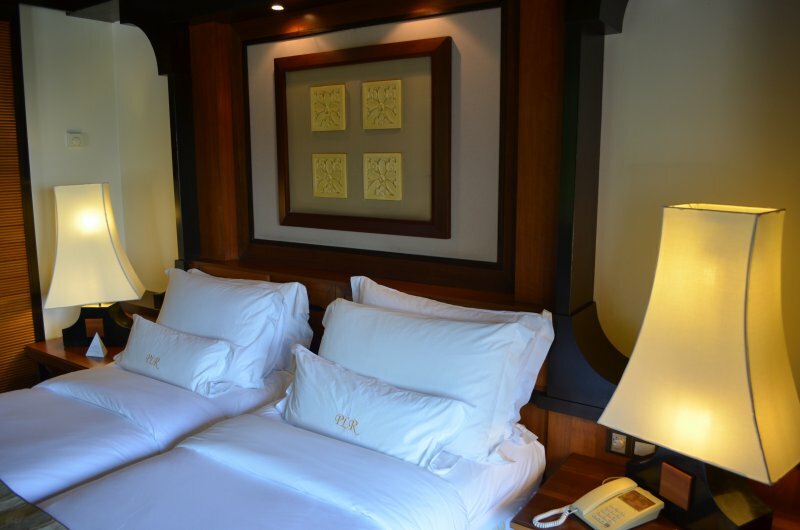 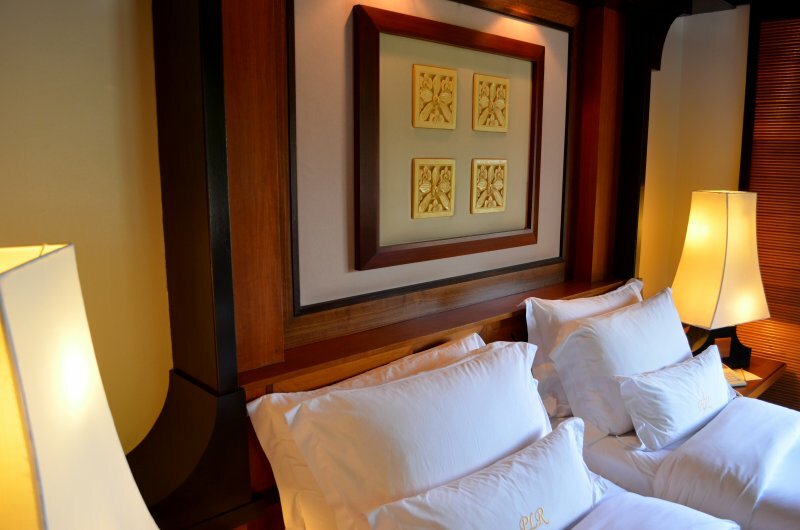 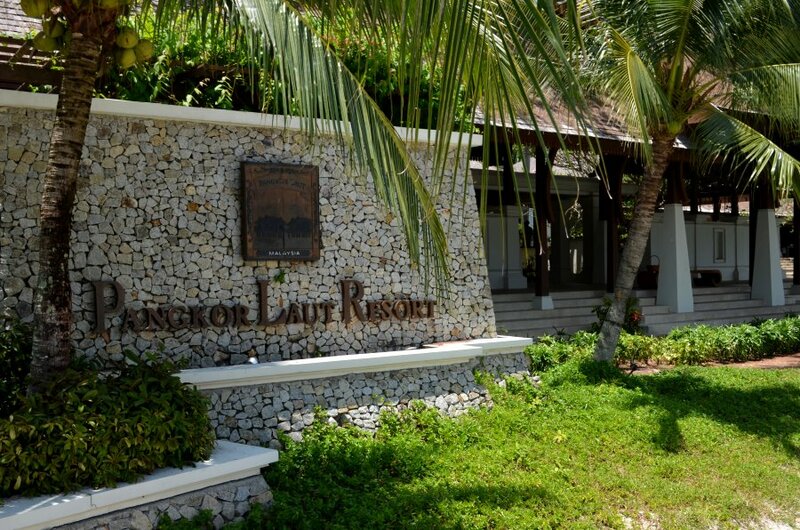 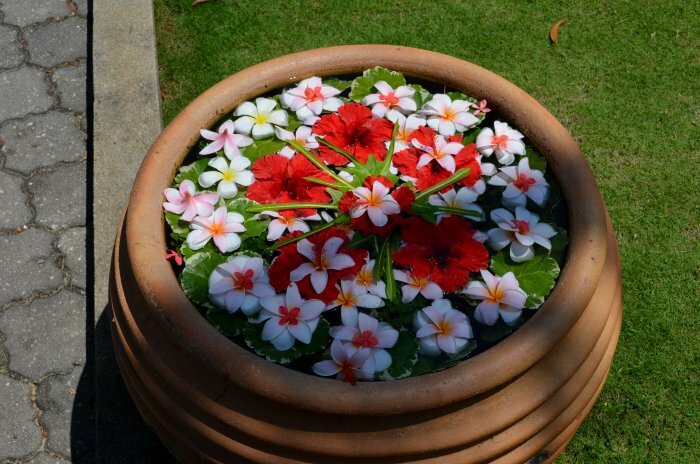 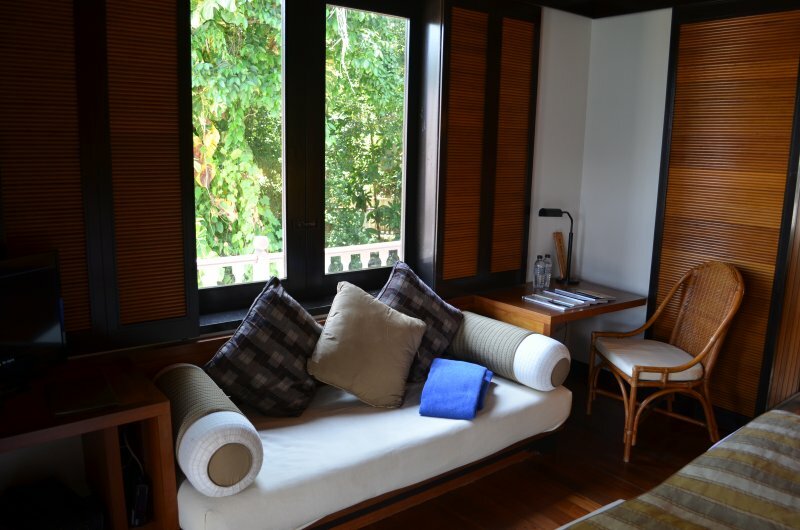 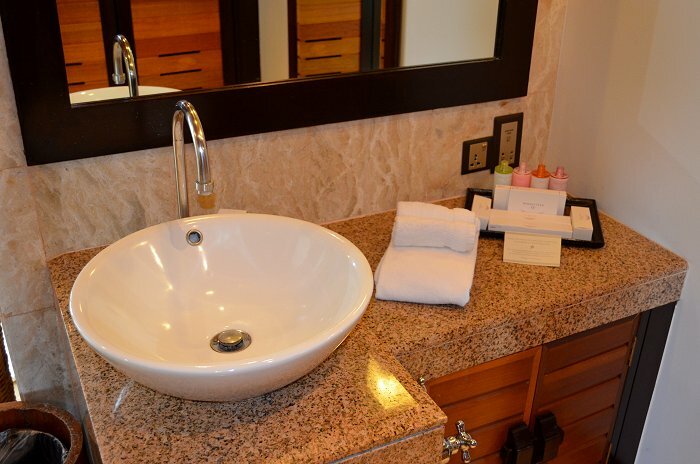 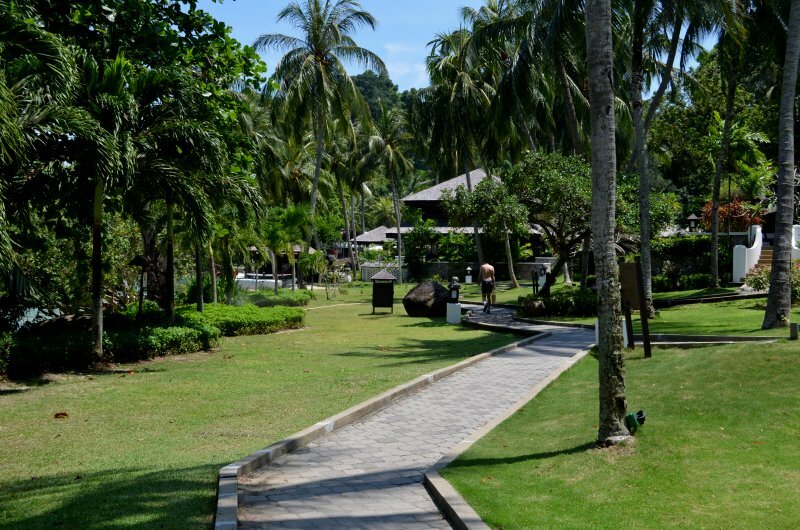 The resort aims to provide guests with an exclusive and luxurious retreat. 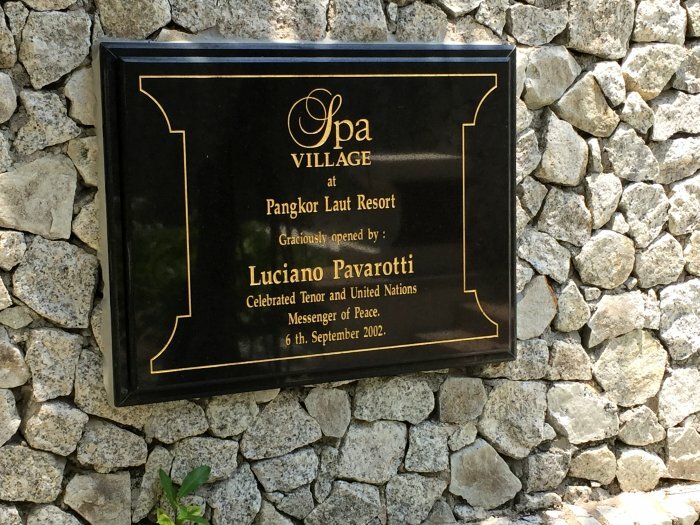 It was once rated 'Number One in the World' by Condé Nast Traveler and it was a great favourite of the late Luciano Pavarotti. 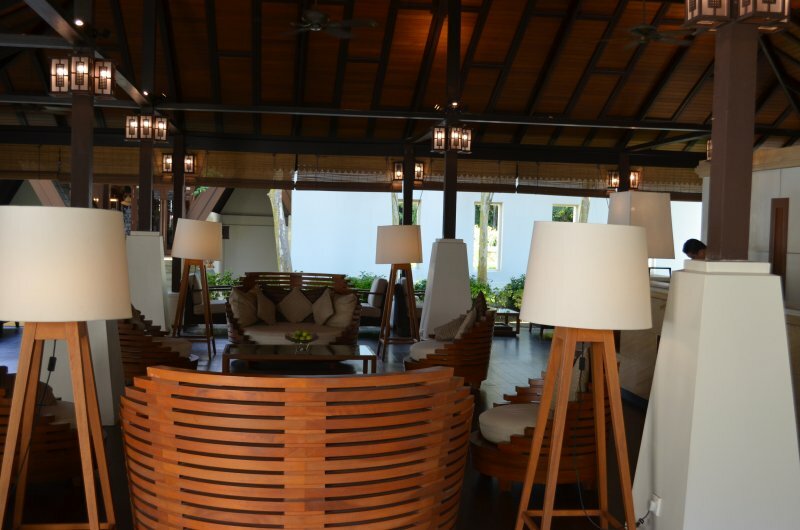 Very high standards were evident in the outstanding spa facility, the excellent accommodation and in some of the restaurants and bars. 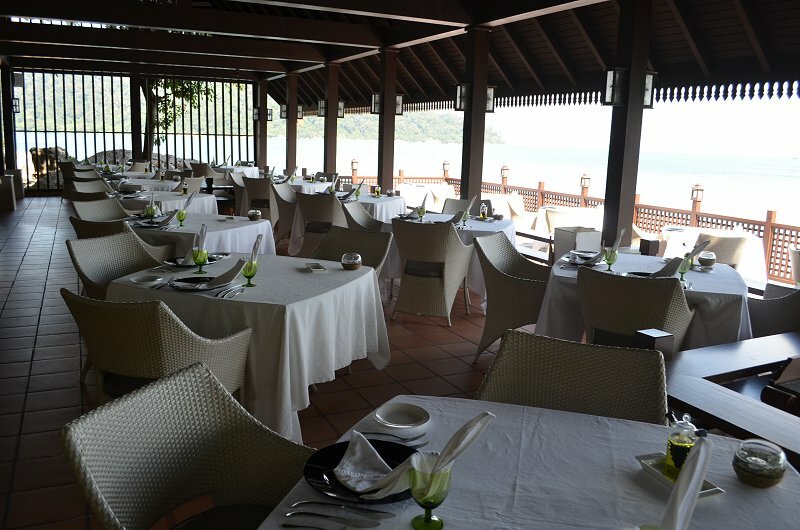 As the diary entries will show, however, we reached the conclusion that the main Feast Village restaurant simply didn't work as a satisfactory evening venue. 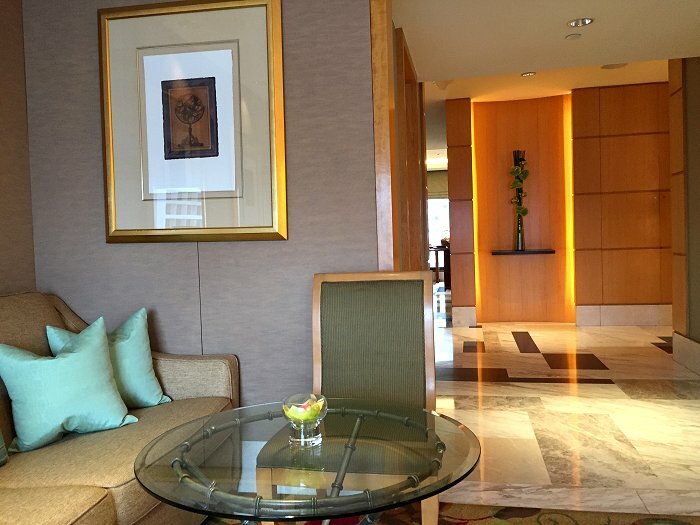 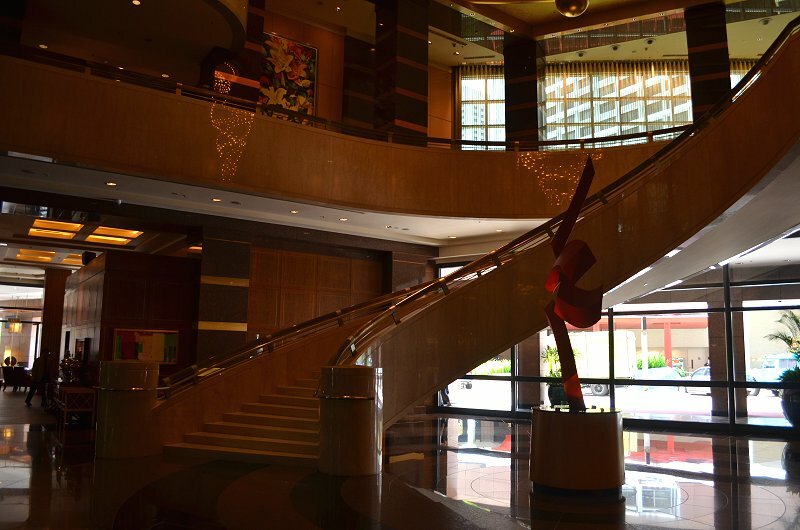 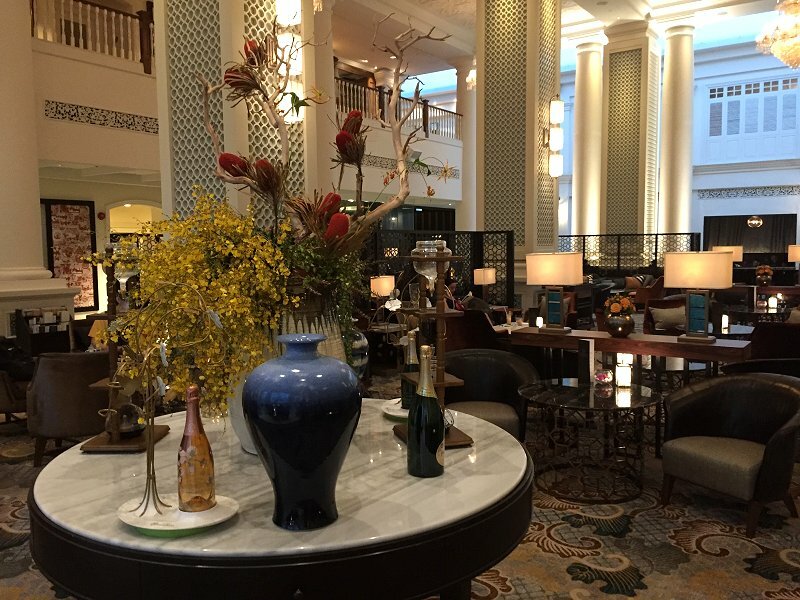 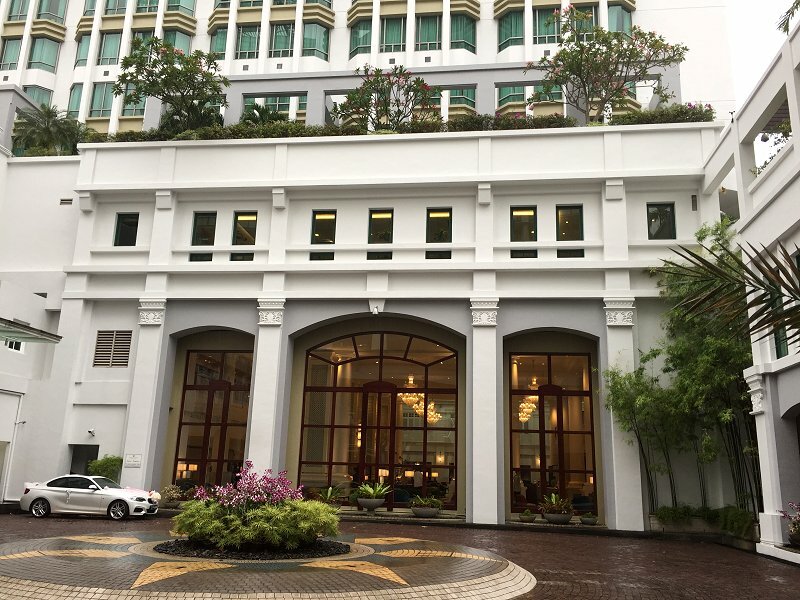 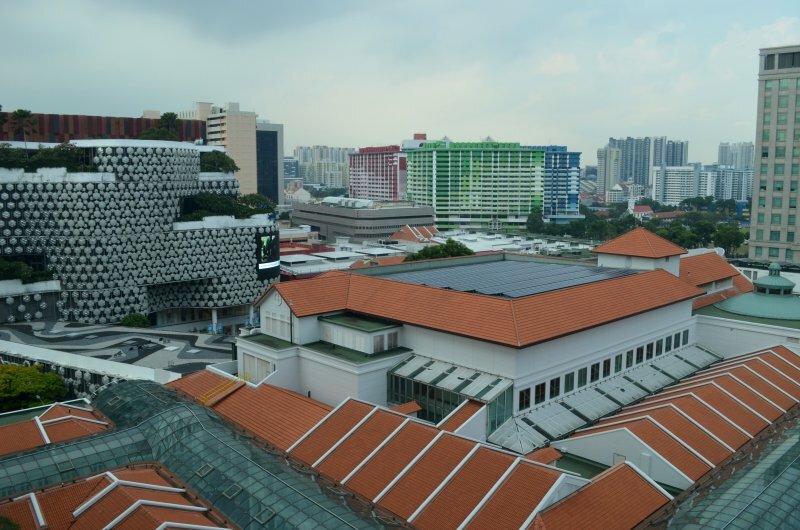 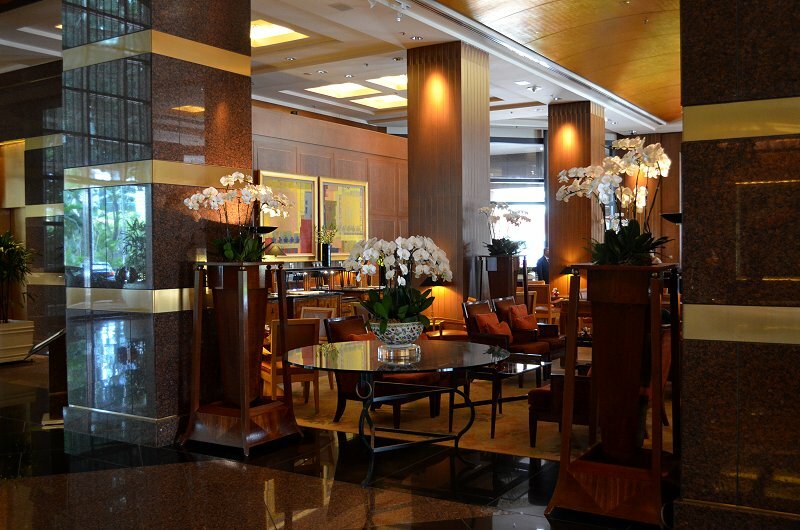 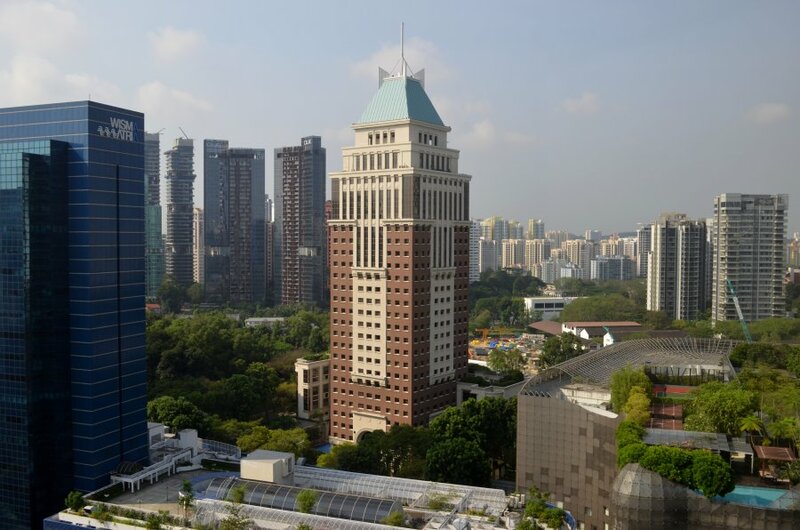 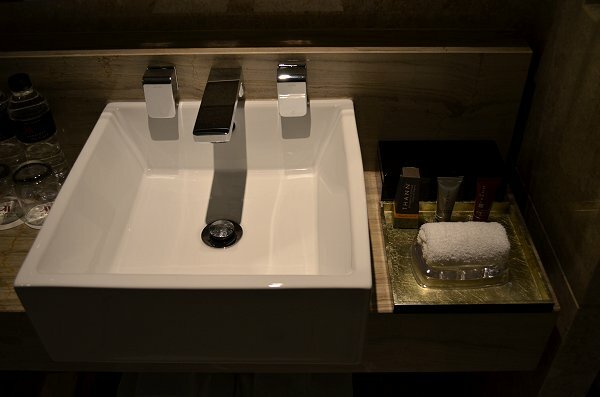 As previously reported in 2014, this hotel enjoys a prime location on Orchard Road which gives easy access to local shops and restaurants on foot, as well as to the whole of Singapore via the MRT system. 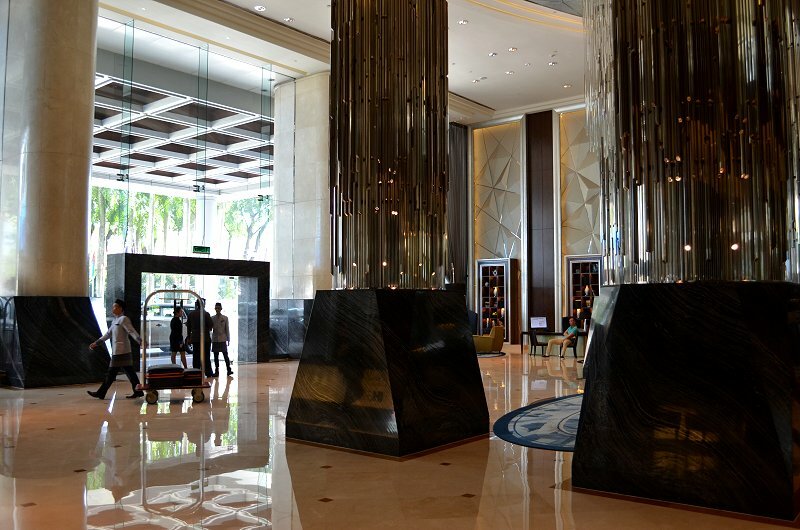 The lobby area and 5th-floor pool are both attractive and popular amenities. 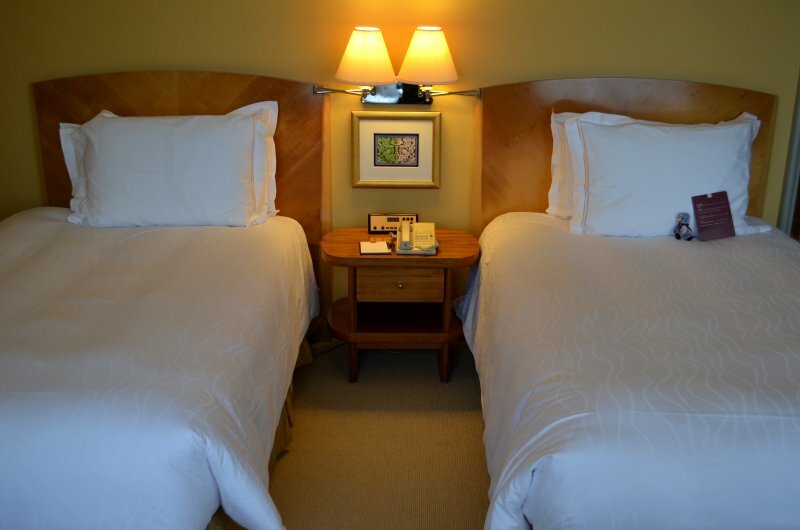 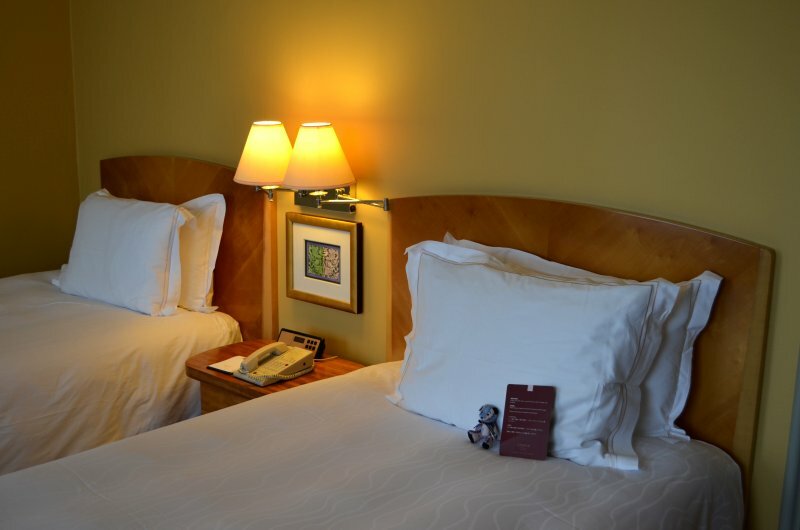 Rooms are on the compact side, but they are well appointed and the restricted size is typical for such a busy location. 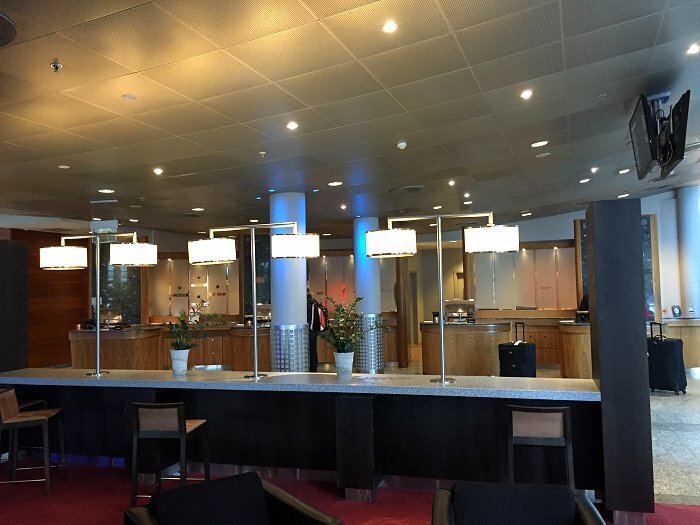 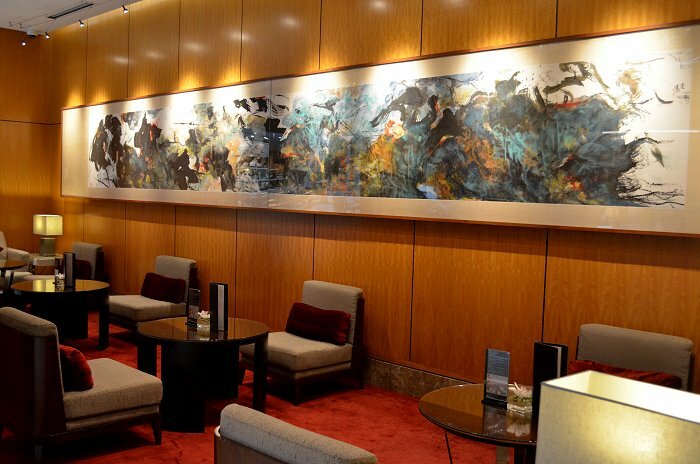 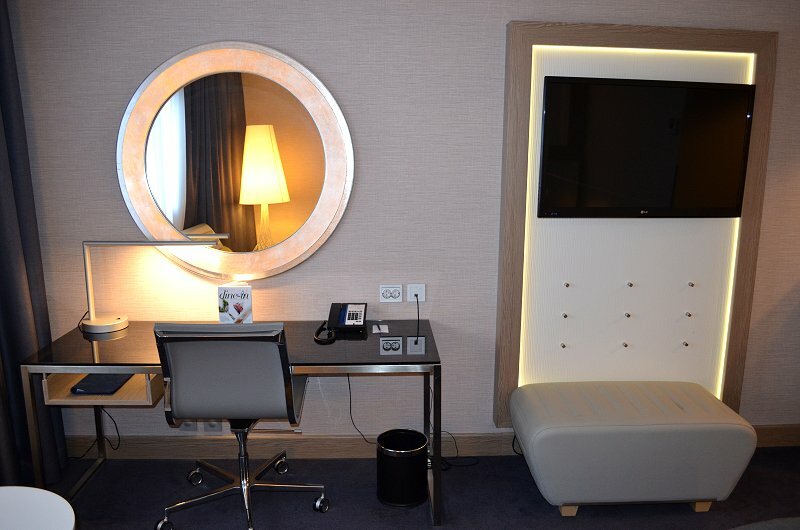 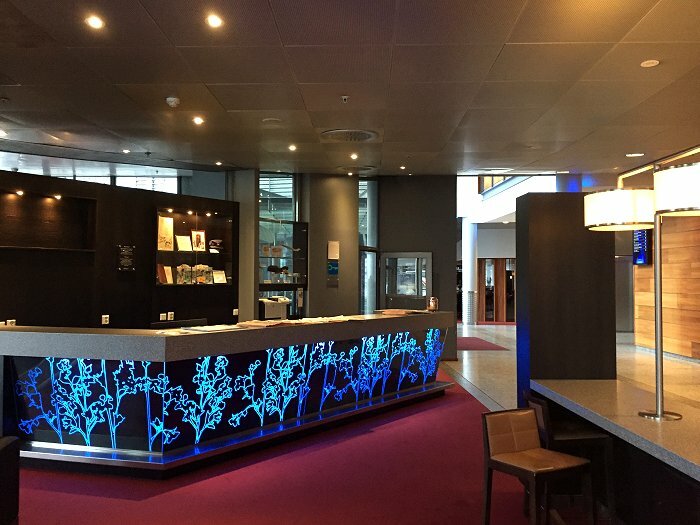 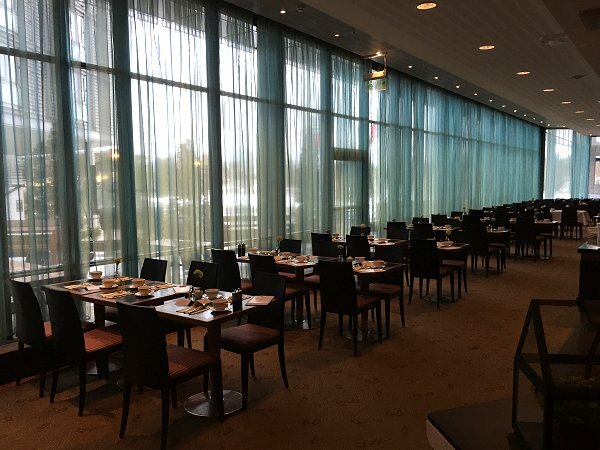 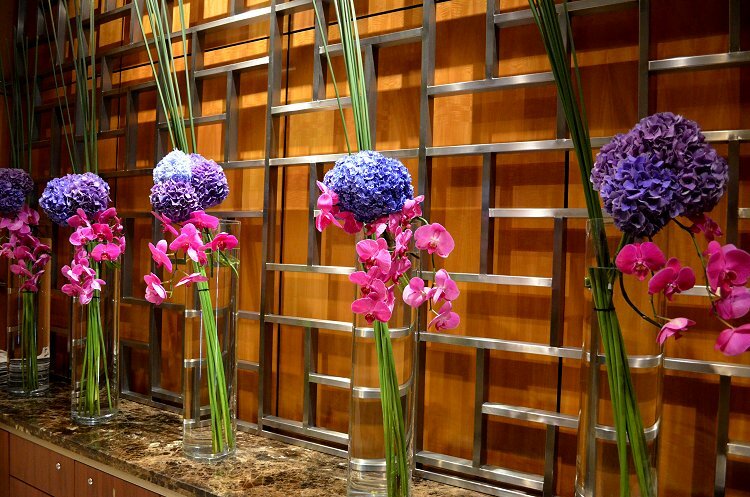 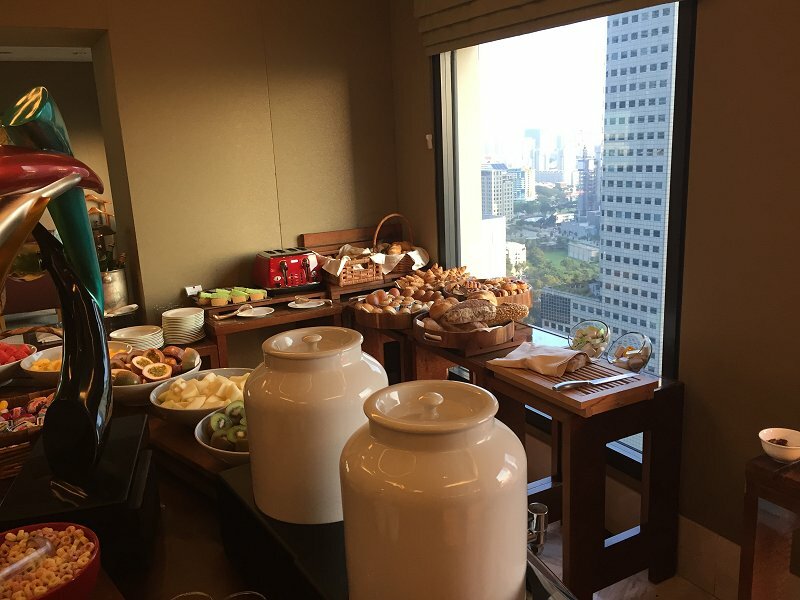 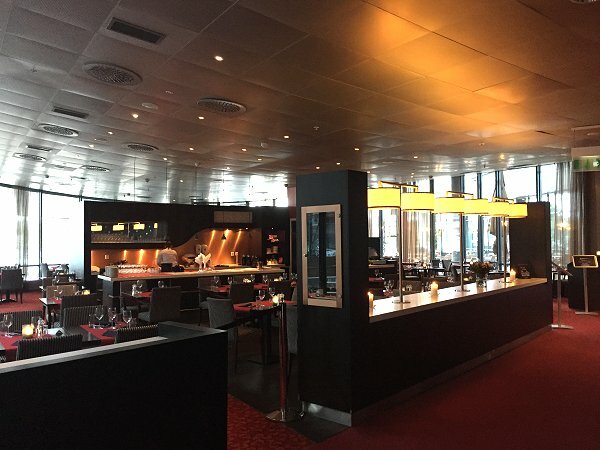 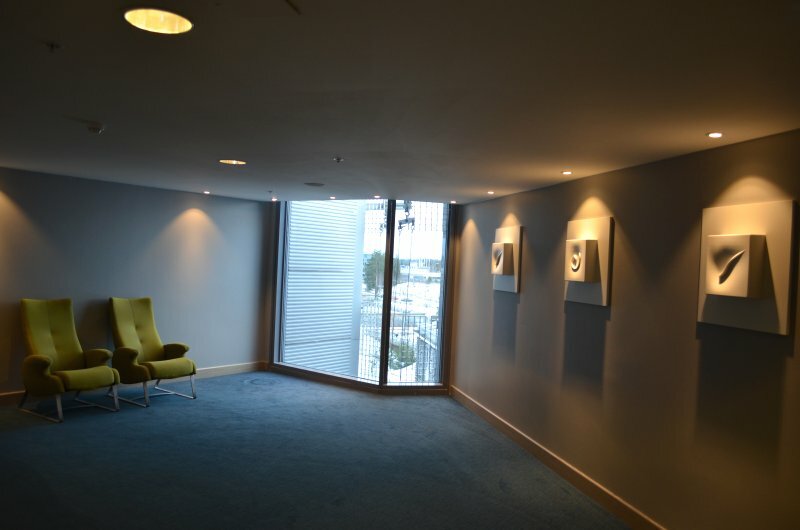 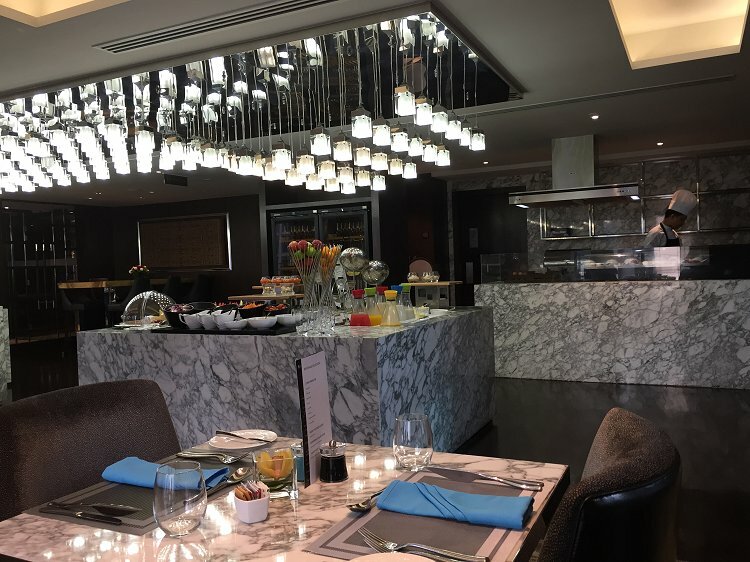 Since our previous visit in November 2014, the executive lounge had been expanded and extensively refurbished, yet it still suffered from being uncomfortably busy. 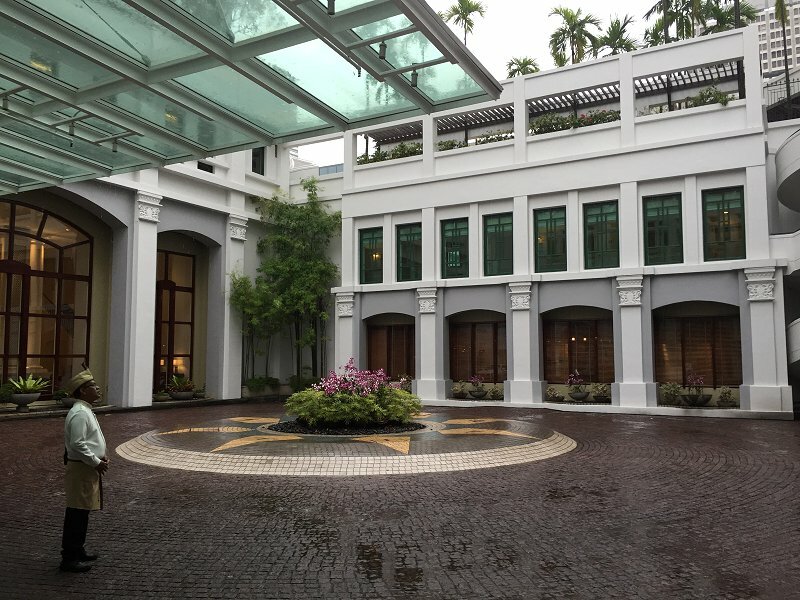 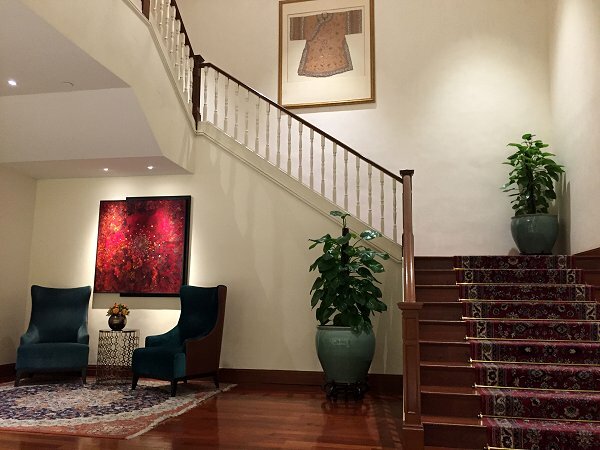 While this property has a less overtly colonial air than nearby Raffles, it nevertheless retains a certain 'olde-worlde' sense of style and grandeur, and seemed surprisingly spacious after the Marriott. 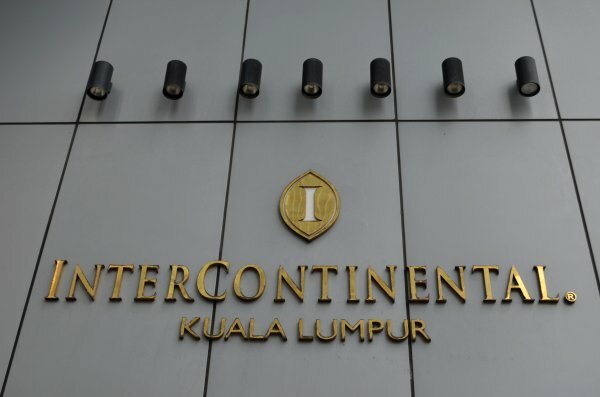 It had been just over eight years since my one previous stay, during which my status with IHG had fallen from Royal Ambassador to Gold Ambassador. 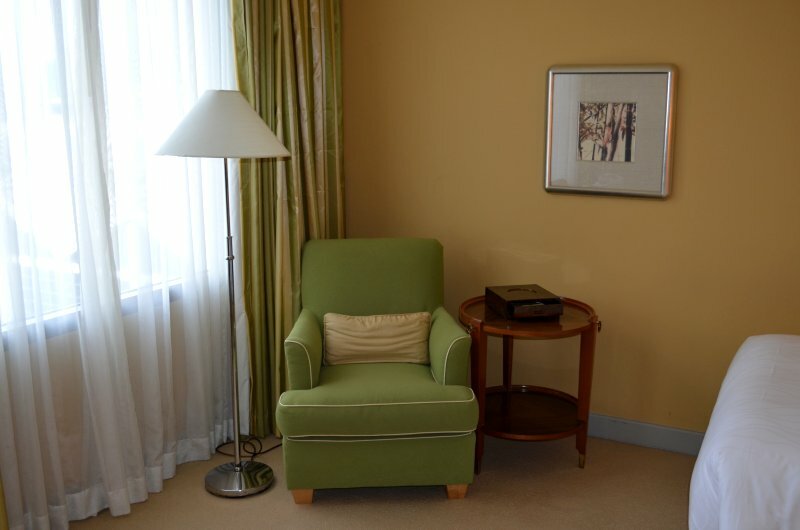 As a result, there was no fabulous top-floor suite on this occasion, but I still felt well enough treated. 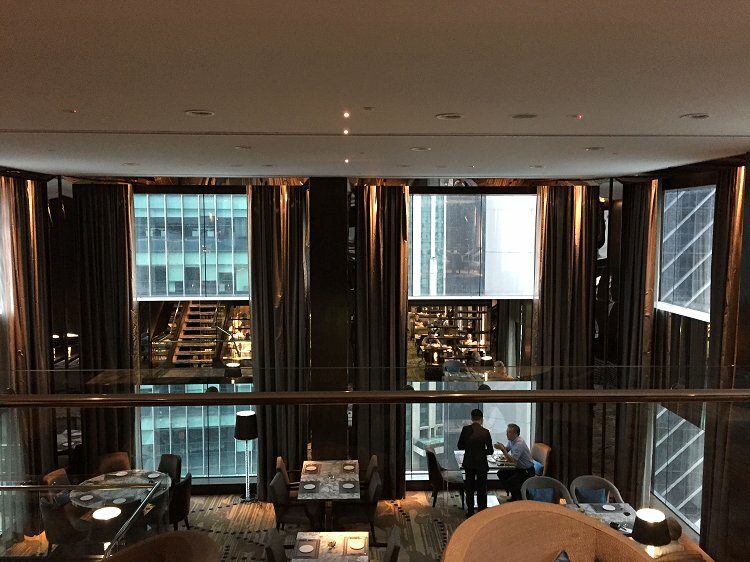 Bruce and I made good use of Victoria's Bar and the lobby lounge before he had to head off to start his homeward journey, and Room Service also did a good job with my solo evening meal. 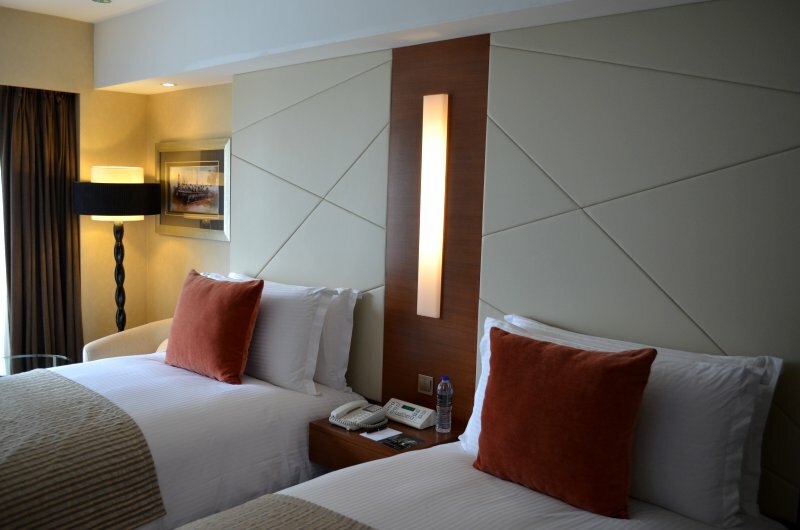 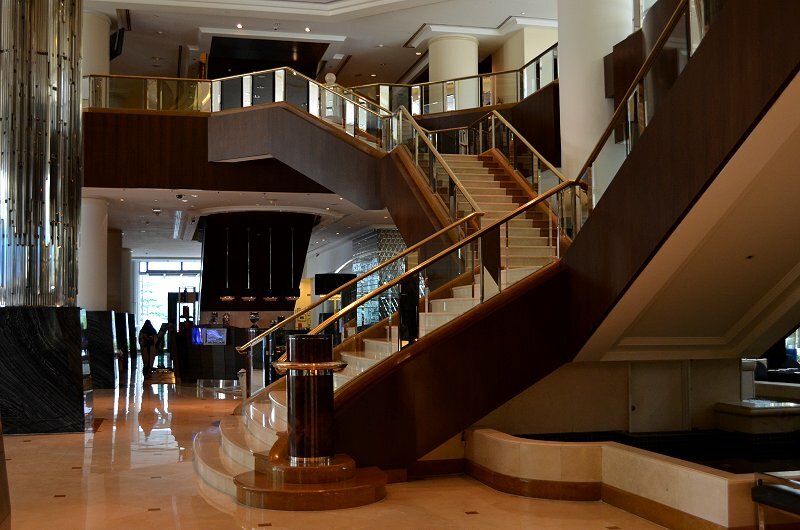 The hotel is directly connected to a local mall, giving easy access to a whole range of alternative options.